Age: The flight feathers, all-white tail and body feathers point to an adult-type, large white-headed gull (LWHG). 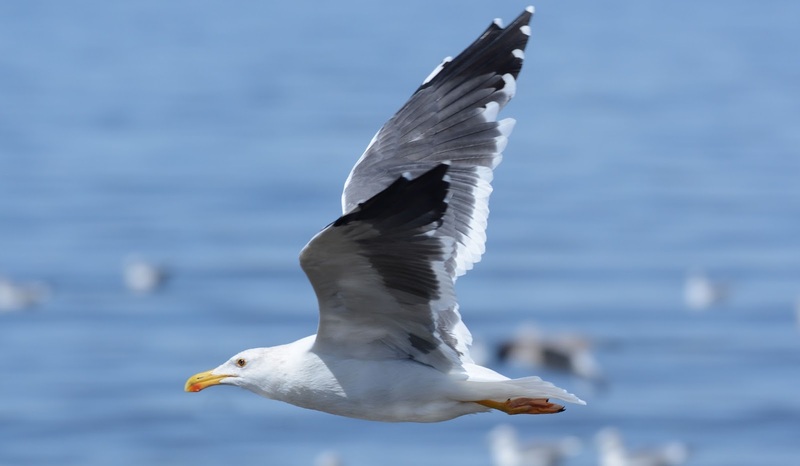 Identification: Our October bird is a black-backed gull with pink legs. In North America, we have two regularly occurring black-backeds with pink legs: Western and Great Black-backed, but this individual is neither. 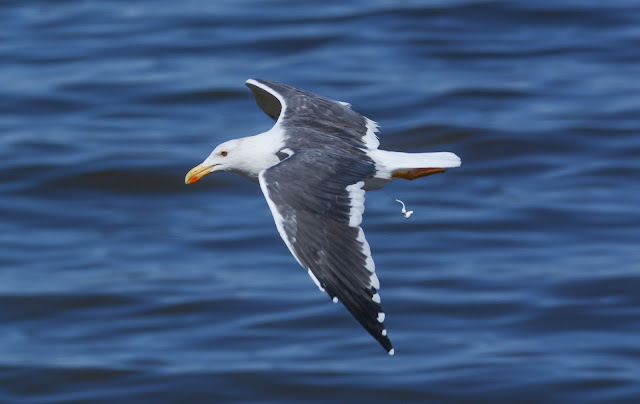 Structurally, both Western and Great Black-backed Gull have noticeably different bills than what's seen here. 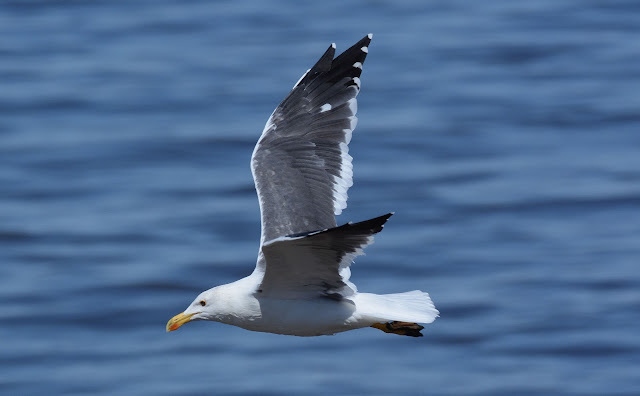 Western typically shows a brighter yellow bill with a wider gonys angle - a bulbous-tipped bill, if you will. Great Black-backed's bill is much more stout and thick - a strong bill all throughout with a blunt tip. Adult Western. Note the bulbous-tip and mustard-yellow orbital ring. San Luis Obispo County, California. January. 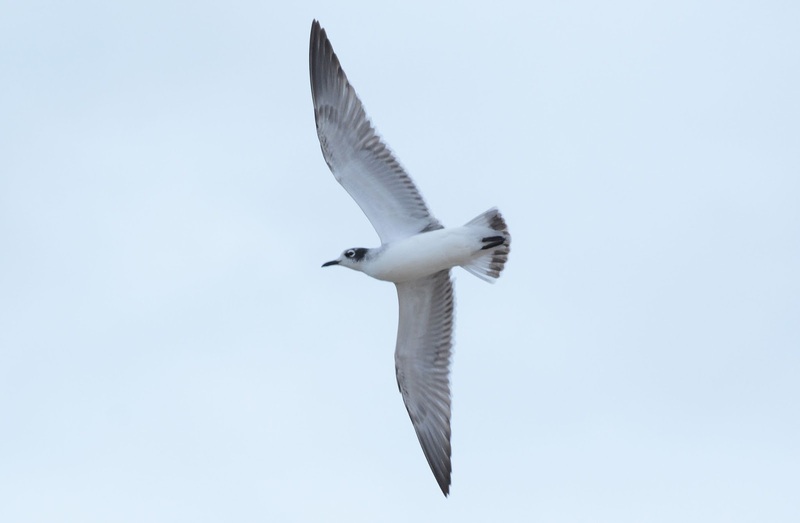 Adult Great Black-backed. The gonys is swollen and the bill is thick throughout. Notice in both of the images above there is very little in the way of head markings. Both of these black-backs average much less head markings than all of our other LWHGs, even in basic plumage. Also, neither possesses the menacing stare of our quiz bird, with eyes that appear to be encircled with mascara. Perhaps of most importance when identifying this month's quiz gull is the wing pattern. 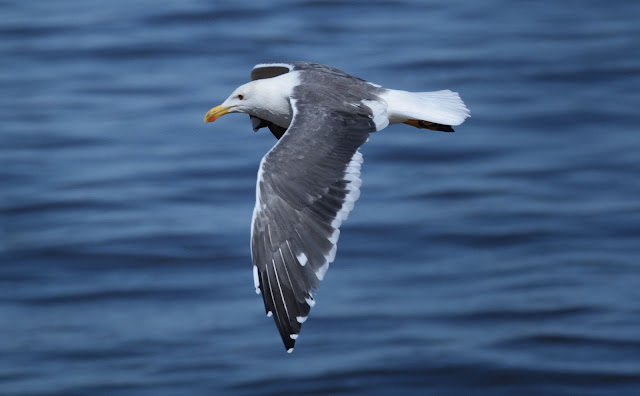 Notice the remarkably thick white trailing edge, a glaring field mark that screams Slaty-backed Gull. The white on the inner primary tips eats into the black edges with a so-called "string of pearls" on the adjacent mid-outer primaries (white tongue tips abutting the black sub-terminal bands on p5-p8). 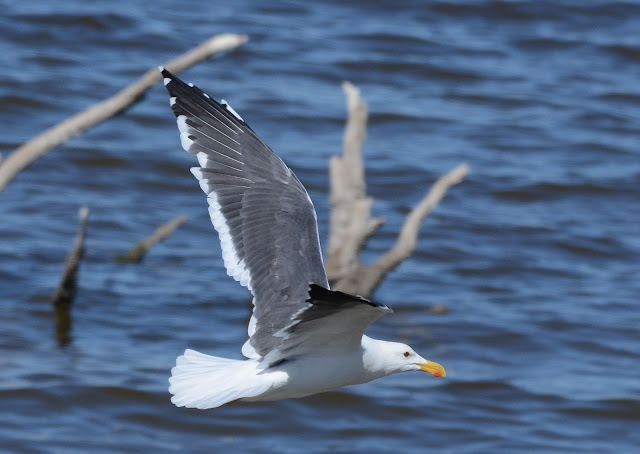 A species that's generally increasing in North America, particularly on the Great Lakes in winter, this month's Slaty-backed Gull was photographed in Lake County, Illinois. February. 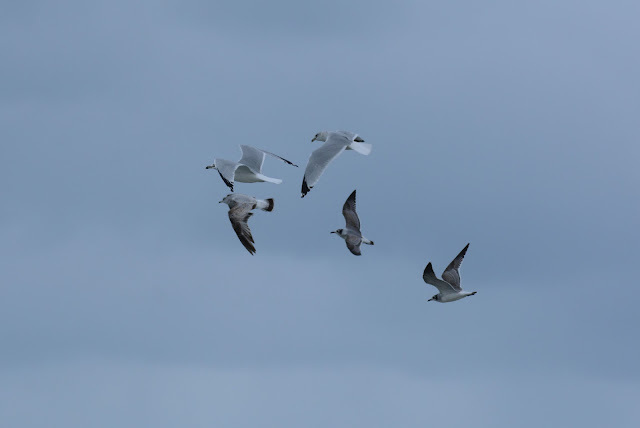 Primary molt in North American large white-headed gulls is fairly straight forward. Most species commence p-molt by first dropping the innermost primaries and then distally replacing the remaining feathers until p10 is renewed and fully grown. This typically occurs by way of the prebasic molt. Quite exceptional is when primaries are actively growing via one molt (i.e., the prebasic molt), when then an independent molt simultaneously crops up and initiates another wave of primary growth. 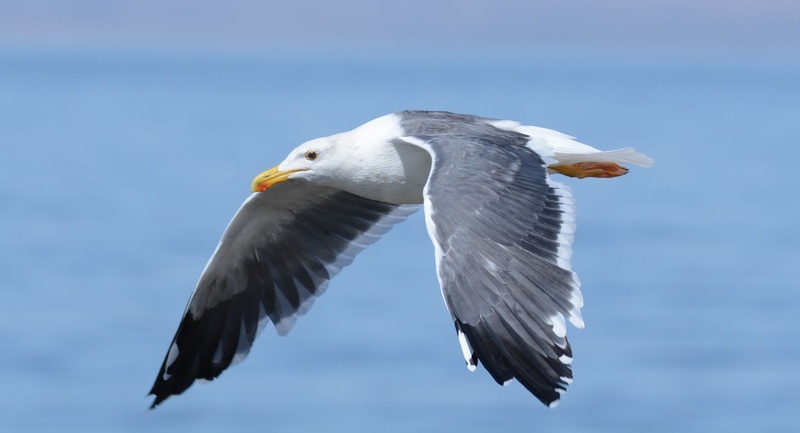 The latter has traditionally been attributed to an extensive prealternate molt. 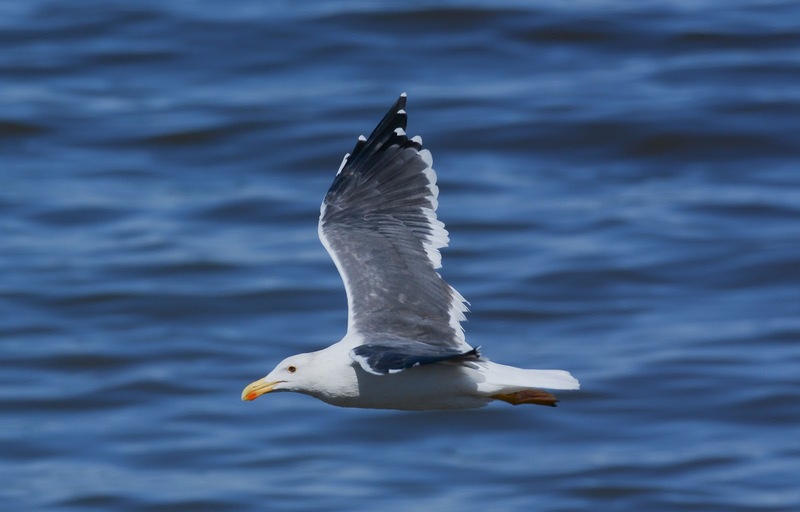 One large white-headed gull that is thought to undergo this alteration, to some degree, is Yellow-footed Gull (L. livens). Several workers have noted this phenomenon in the literature (Pyle 2008, Howell 2010). 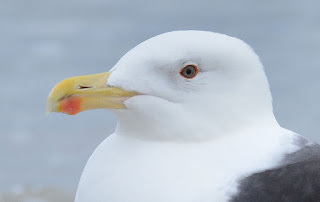 However, few exemplars or specifics have been given, particularly from the Fall season when both prebasic and prealternate molts regularly overlap. Below are several examples of adult-type Yellow-footed Gulls that exhibit two waves of primary growth. All are from the Salton Sea in southern California during the last week of September. 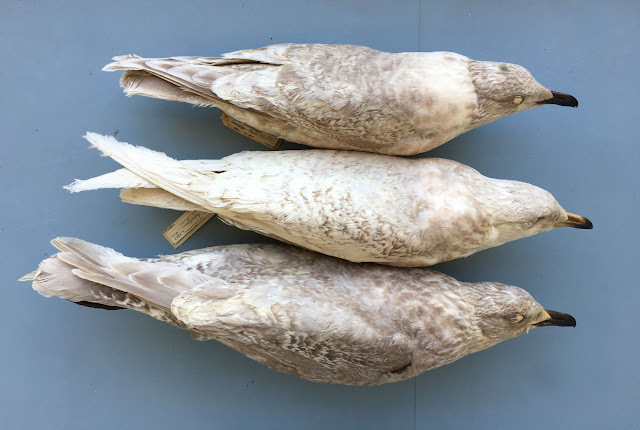 It's presumed these birds originated from Baja California where the species breeds and then makes a post-breeding dispersal into the Colorado Desert. No assumptions are made as to whether these individuals have successfully bred and/or their exact ages. 1A. 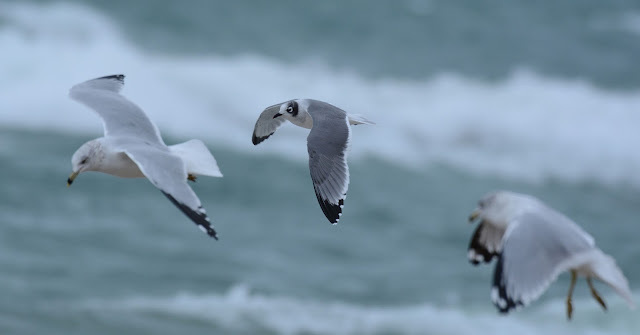 Primary molt on right wing shows two waves. Wave 1: p5-p10, with p9-p10 growing. Wave 2: p1-p4, with p4 growing. 1B. 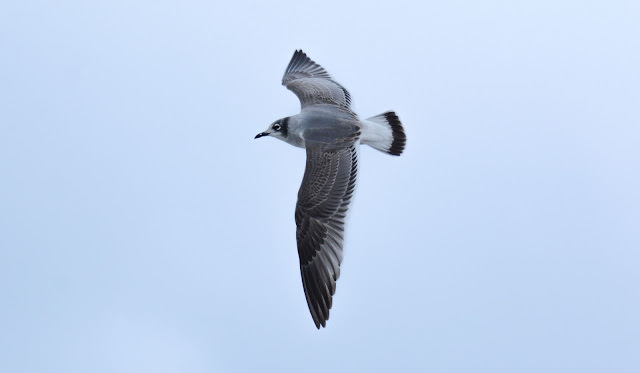 Similar molt pattern on left wing. 2A. 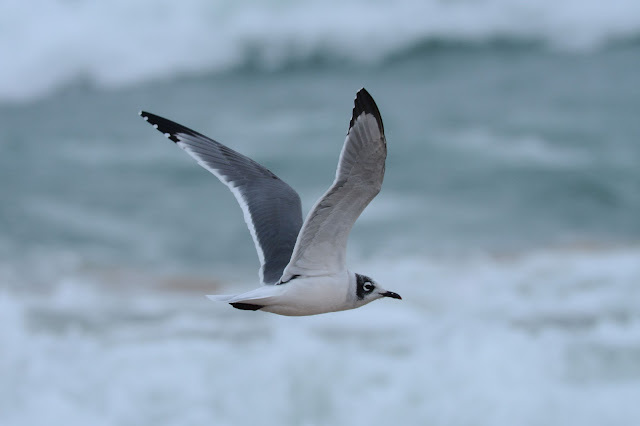 Primary molt on left wing shows two waves. Wave 1: p5-p10, with p9-p10 growing. Wave 2: p1-p4, with p4 growing. 2B. Very similar to individual 1 but note p4 is shorter with no black markings. 3A. 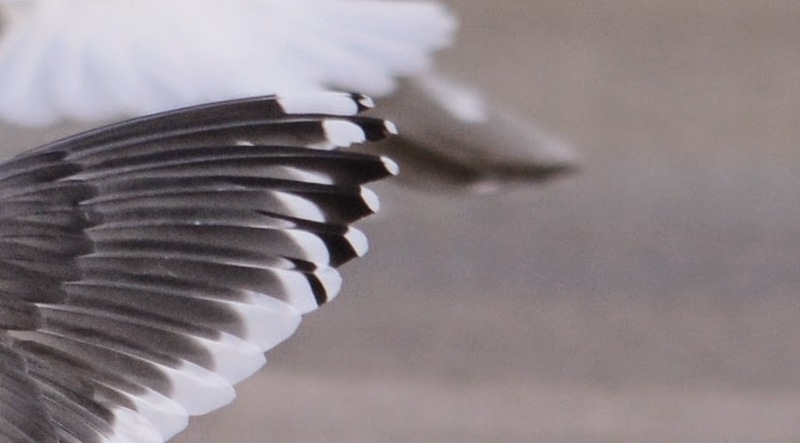 Primary molt on left wing shows two waves. Wave 1: p4-p10, with p9-p10 growing. Wave 2: p1-p3, with p3 growing. 3B. Asymmetric to left wing. Wave 1: p6-p10, with p9-p10 growing. Wave 2: p1-p5, with p5 growing. 4A. Primary molt on right wing shows two waves. Wave 1: p7-p10, with p9-p10 growing. Wave 2: p1-p6, with p5-p6 growing. 4B. Asymmetric to left wing. One molt wave with p1-p8 fully grown. p9-p10 growing. Presumably basic primaries. 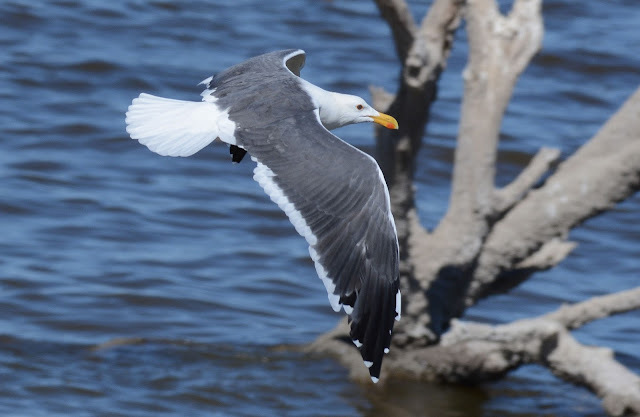 These photos are meant to provide concrete examples of dual-wave primary molt in Yellow-footed Gulls, as well as stimulate further study on this topic. A special thanks to Peter Pyle for patiently entertaining my questions on this subject. His knowledge is most inspiring.